Wow, there’s just so much to say about this topic, it’s hard to find a place to start. Most of us prefer the same level of comfort when traveling as we have at home. Packing becomes this grueling process where we go from having everything we need within reach, to a compact container that is supposed to hold — everything we need within reach. So let’s reverse that! Start from ground zero, a blank canvas, an empty lot, or whichever way you can best picture the word — “nothing.” Then try to build, item by item, for each perceivable day on the road. 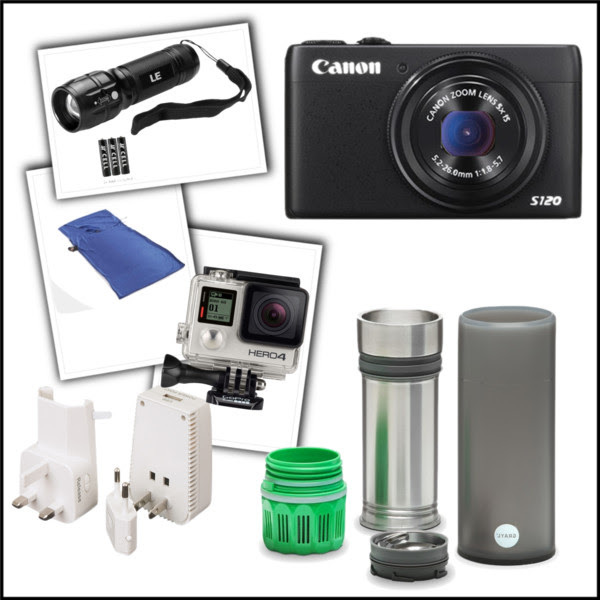 The Perfect Packing List is light, versatile and includes mostly things you would not be able to buy on the road. Carry-on friendly (which also means flexible and time-saving). If you don’t use it now, don’t bring it. Bring enough clothes for 1 week, then wash-rinse-dry and repeat. Test pack a backpack that fits your body comfortably. An outfit for each Spring, Summer, Fall Winter season. An outfit for the beach. A semi-formal outfit – There’s nothing a little black dress can’t handle. Plus, what is formal in Bolivia or Cambodia probably isn’t the same as the U.S. Wouldn’t you want to try something local anyway? 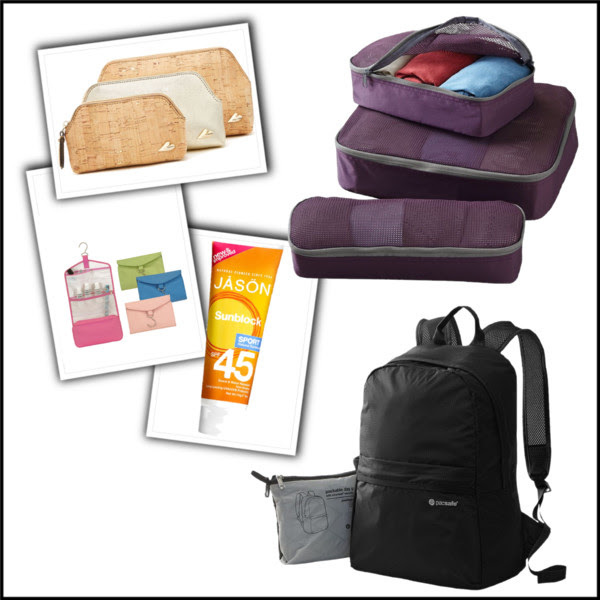 Once you have the basic necessities, you can mix and match or grab what you need while on the road. Stick with wool, cashmere, cotton, or silk fabrics. They will be more durable and warm. Wool and silk are the most practical, they both add extra warmth, don’t retain odor, stay warm when wet, and dry quickly. Wear tights under convertible pants. Add an extra layer of short sleeves over long sleeves. Wear laundered shirts/bottoms as pajama first, then wear it out. This will give the pieces one extra use…assuming you’re the type that shower before bed. One convertible dress can morph into more than 10 different outfits. Check out this list of best convertible dresses, or diy. The scarf can double as a sarong for the beach. Sports bra can double as bikini top. I would love to bring a DSLR (or mirrorless) camera, but that would take up a quarter of the bag. Instead, my go to is either Canon S120 or Panasonic LX 7 for portability. Compact tripod – I got this one because it’s strong enough for a DSLR. There are quite a few milestones worth noting as one venture into the wild. 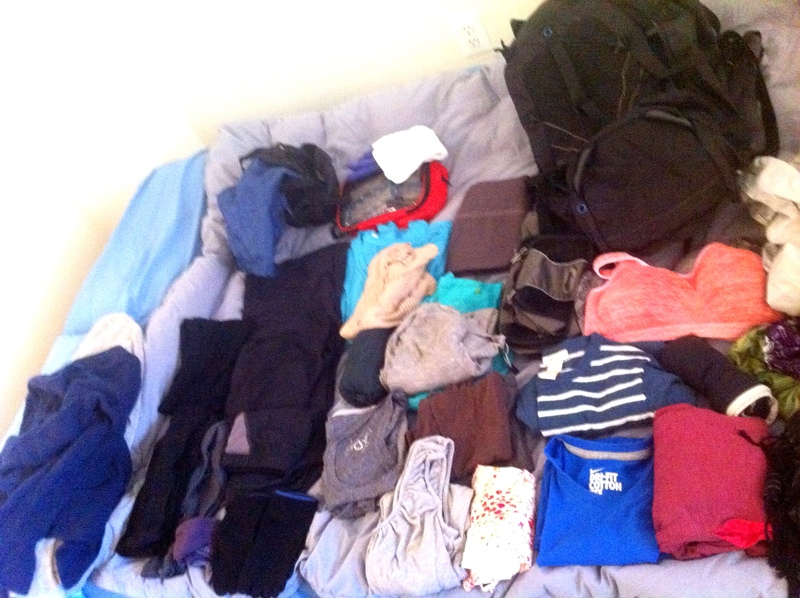 One of them is the discovery of packing cubes. They seem so insignificant, but because of them, I am able to locate one specific item at any given time within minutes. 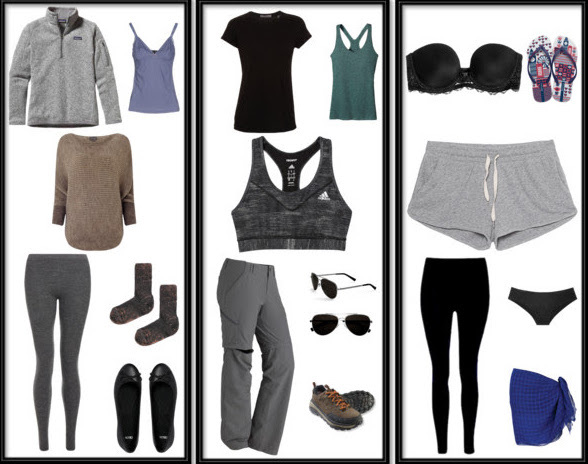 There may be such a thing as too many packing cubes, but four work out perfect for me. Packing cubes and a small compression bag will go a long way. Foldable daypack, something under 20L is plenty, any larger it’s going to encourage you to carry more. Mesh storage bags for miscellaneous items like ointments, makeup, hair ties, etc. Instead of a daypack, try a slim sling bag so the pockets are in front instead of behind you. I have hte Kangatek sling but can’t find it anywhere online. Eco-friendly sunscreen – Sunscreen is expensive in developing countries. Most locals don’t need it and it’s even harder to find one that won’t be toxic to marine animals. Tiger balm – It’s on the western market as muscle pain reliever, but people in Asia use it for everything. I survived my days in the Amazon jungle all thanks to tiger balm. I recovered from the worst sunburn ever, thanks to tiger balm. You know what, I’m changing this section form “bonus” to “essential,” right now, thanks to tiger balm! Foldable chopsticks and spork multi-tool. Mini sewing kit – just a couple of sewing needles and threads will do. Floss can double as thread, too! Stand-up and pee paper funnel – Think outhouse…mosquito infested jungle…dive bar bathroom. Yes, this is essential. Wet wipes – need I say more? 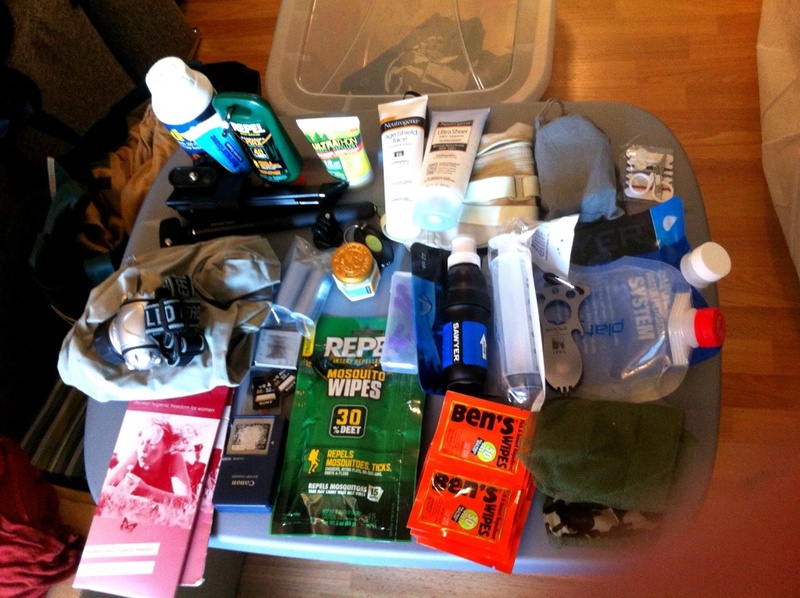 Everything fits into a 45L backpack. I also had a messenger back for a Macbook Air, which nowadays, I think can be replaced by a mini iPad and keyboard. Happy packing!